I can’t give you the job, but I can help you look the part without breaking the bank. Presenting yourself well is essential to a successful job interview. You can have a look at previous posts to see how to dress the part, but today’s focus is on the perfect makeup. 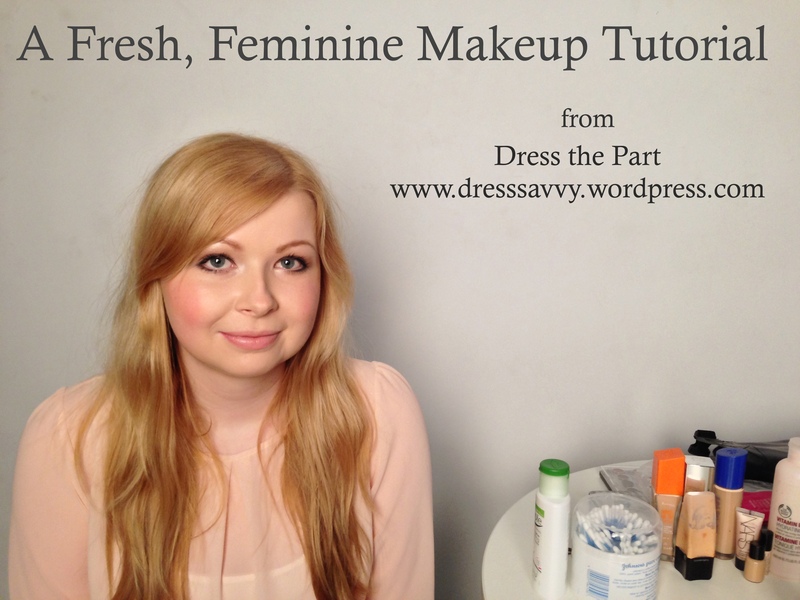 Dress the Part has enlisted the help of professional makeup artist Gracie Revington, to provide a step-by-step guide to a natural, no-fuss look that’s ideal for a job interview. In the video below Gracie shows you how to do achieve a naturally pretty look in less than ten minutes. This makes it the perfect day-to-day work makeup, allowing you to enjoy a bit longer in bed! Want to try something more fashion forward? ASOS stylist Gamze warned against incorporating too many trends in one outfit – and this applies to makeup too. Perhaps you could try adding a bold lipstick, exaggerated cat flick eyeliner or a bright eye shadow, but the key is choosing just one trend and not overdoing it. Whatever you decide, “Practice the day before,” Gracie advises, so you’re ready to impress on the day. (Images and video are copyright of http://www.dresssavvy.wordpress.com, please do not reproduce without permission).